Nala is both elegant and effortless. 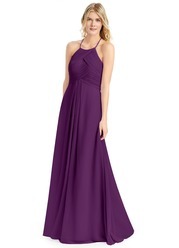 The bodice features asymmetrical waist pleating for a slimming effect. The simple and classic A-line skirt has fullness to allow for freedom of movement. This dress’ versatility is the perfect for every woman. 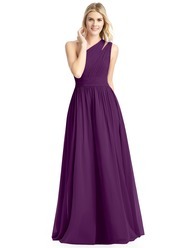 Could you tell me how low this dress would go? As far as heavier chested women goes. 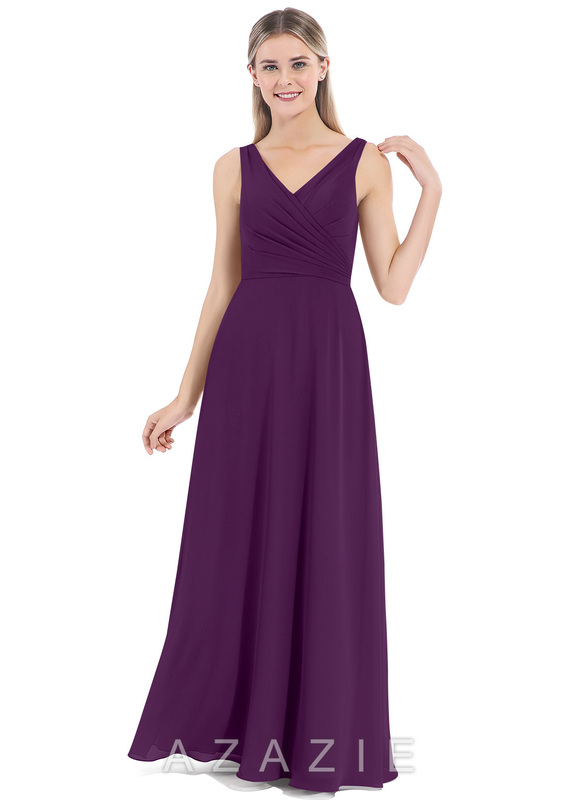 The Nala has a V-neck, so it's actually very flattering for bridesmaids with larger busts. It isn't super low-cut, but if coverage is a concern, it may not be as good of an option compared with something with a higher neckline! 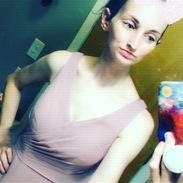 This dress fit great! It is a little long (I am 5'7" and about 205-210). It fit awesome. 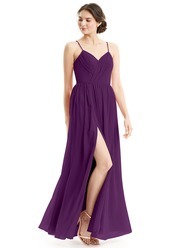 The "padding" in the bust is great because a bra with this dress would be difficult to find. I am also not young (43) and the girls (40 DD) were well supported. It also is slimming. 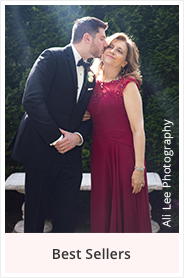 I am not wearing a "fat sucker" but might for the wedding. Of course the dress still needs pressed. 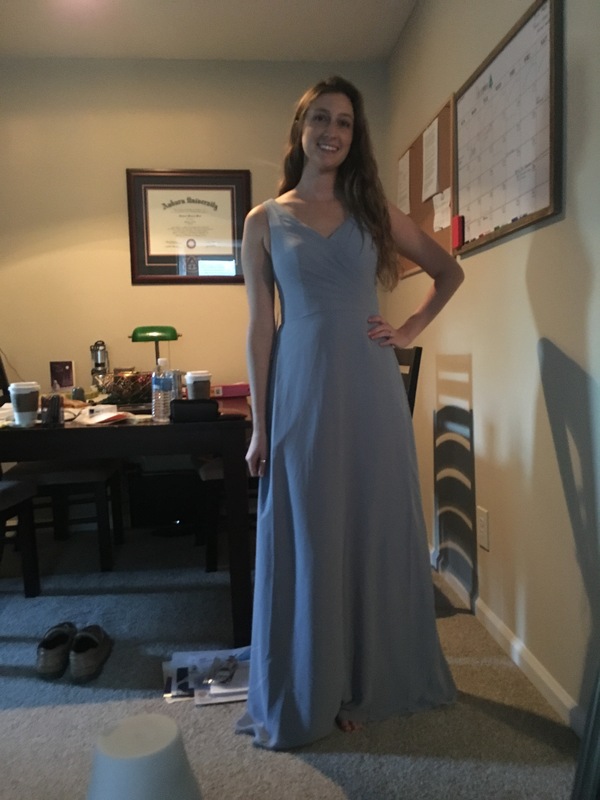 I am usually a 2 or 4 in dresses so I went with a size 2 and it fits perfectly! A little snug in the middle section but nothing I can’t work with. I am 5’ 5” and I will probably need it hemmed 1 or 2 inches since I will be wearing flats. The top is also padded so I don’t even need to wear a strapless bra! So comfortable! The fit is perfect! Even the length, no alterations are needed! I love it. My only complaint is about the dress bag...when the sample came, it was in a zip up, easy to handle bag and I was pretty disappointed when I opened my box to find a slip over 'bag'. It's long enough that I could wear high heels with it, or I could get it hemmed for smaller heels. 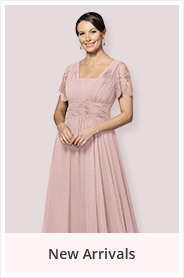 Beautiful, timeless dress that fits and looks great! Would recommend this style. I was pleasantly surprised by how well my custom size order turned out - it really does exactly measure my specifications. I was careful to choose a dress that would allow me to wear a bra, but there's enough built-in support in this dress that I really don't need one. The material was super nice! The only thing is that because I'm a little shorter, I had to tailor the straps a little to fit me just right. 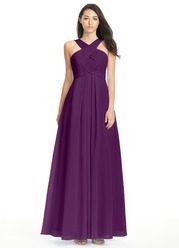 The dress was beautiful but the dress doesn't fit super well on petite sizes. I'm 5'4" and the bust was way too long so now the boning looks bad. I have to get the strap taken in. I'd expect the length but just be weary if you are on the shorter side. This dress looks beautiful in the picture, however, when my dresses arrived they were of poor quality. The seam along the waistline was crooked and the pleating on the top was loose. 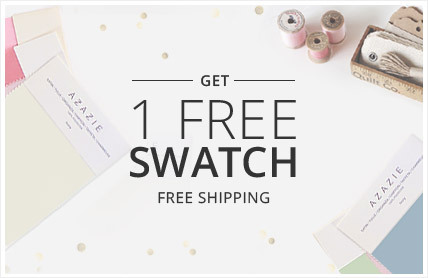 I returned these dresses and was able to receive a full refund + shipping thanks to the help of an Azazie employee. 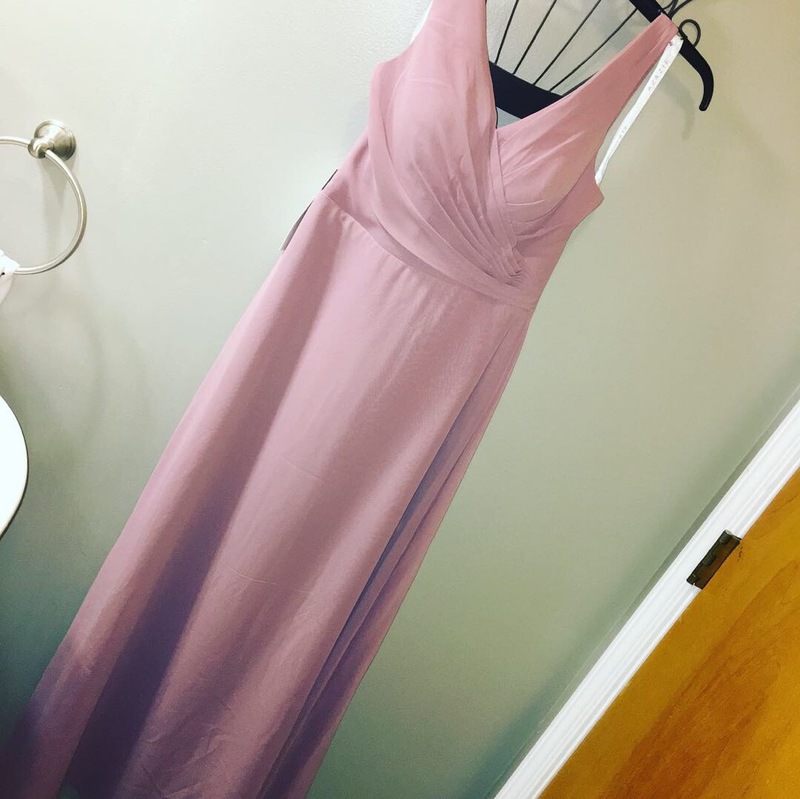 Be cautious when ordering the dress, it looks much different in person. 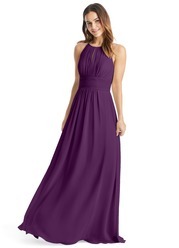 I placed an order for a size 2 and this dress was the perfect size. The order was delivered more quickly than I expected. Super cute, super comfy, and the price is perfect. I will definitely come back and shop with Azazie again.